Sometimes it comes down to one or two runners to decide a team's fate. Sometimes it comes down to your number six runner. 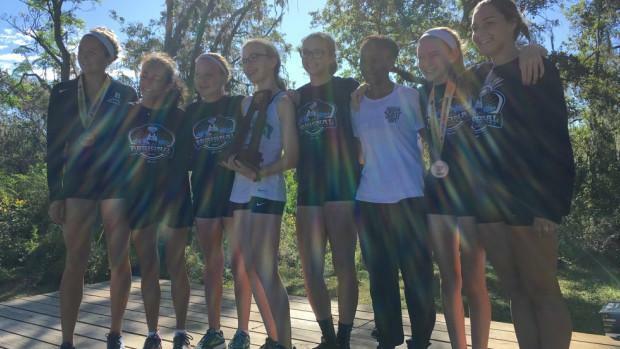 That's just what happened to break the tie between the Berkeley Prep and Academy of the Holy Names (AHN) girls teams on Friday at Holloway Park in Lakeland. "I scored the meet on Monday and I told the other coaches it was a tie between us and AHN," Bucs coach Eric Lipham said. "I didn't think we would actually tie but I thought it would be close." The Bucs one-upped AHN last week at districts breaking a four-year district streak by the Jaguars. However, one of AHN's top runners in Emma Zazzero didn't run last week, coming back from an injury. The Jags were already without top Greta Dieck. Zazzero proved a significant factor as she leveled the field between the two teams with a 20th-place finish. "I thought we'd lost initially, their top three were really strong," Lipham said. "Our top three did great, too but I thought with their four and five they'd got us by a couple of points." 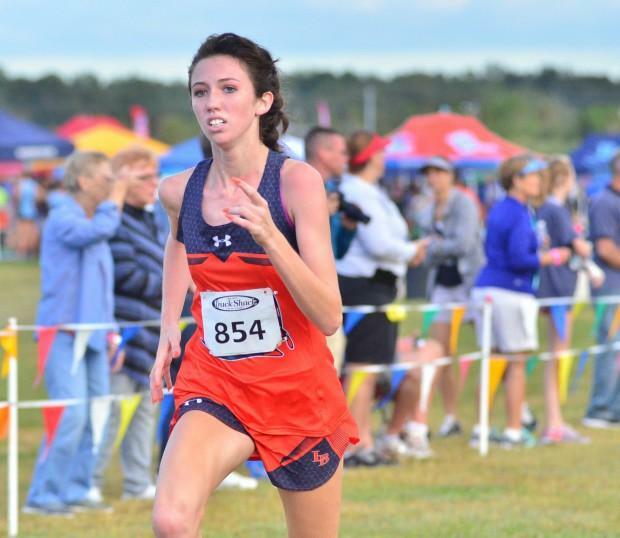 AHN went 1-2-3 with Megan Hughes (2nd), Alexa Fredericks (9th) and Katherine Jones (13th) while Berkeley countered with Sydney Avery (8th), Kylie Stephens (10th) and Catelin Lipham (15th) but four and five runners Finley Jordan and Emma Righter took 17th and 18th overall and it came down to sophomore Abigail Ramos at number six. Ramos ran a 22:58.21 for 32nd overall but it wound up being the difference between regional champ and regional runner up. "This was our first regional title since coming up to Class 2A a decade ago," Lipham said. "It's been a good year, we opened the season well and didn't even have a full team until districts. They earned this." Individually, the 2A girls race was thrilling, too. Five girls, Avery, Hannah McAuliffe of Lakewood, Cristal Gomez of Frostproof, Emily Vargas of Avon Park and Hughes led the group through the first mile with Lemon Bay's Maddison Welch a few seconds behind. Hughes charged up the hill, pressing into the lead. When they came out again, near the three-mile mark everything had changed. Gomez was in front with Welch close on her heels. Hughes was several seconds back in third with Vargas in fourth. Just as runners started the last 180-degree turn before the final straightaway, Welch moved in front and burned the rest of the way out to win it in 19:34.90. Hughes made a big move late and pushed into second at 19:37.09. Gomez hung on for third in 19:41.14. "My mentality was just to come out here and do this," Welch said. Welch remembers well, teammate Kelsi Ogilvie winning the 2016 regional race where Welch was runner up in 19:43.96. "I definitely wanted to follow in her footsteps today," Welch said. Hughes had a strong follow up to her first district title from last week with the runner up finish. 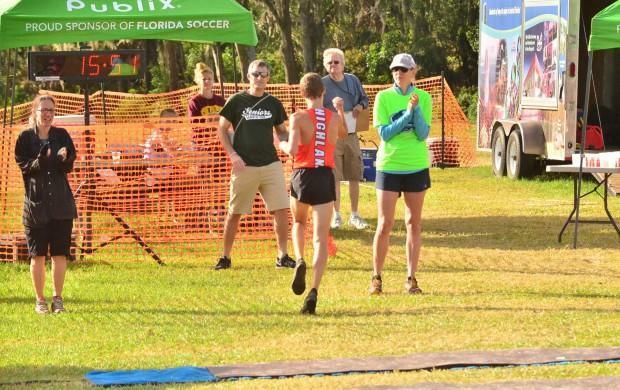 On the boys side, Lake Wales senior Paul Stafford continues to be one of the most steady and consistent runners statewide. 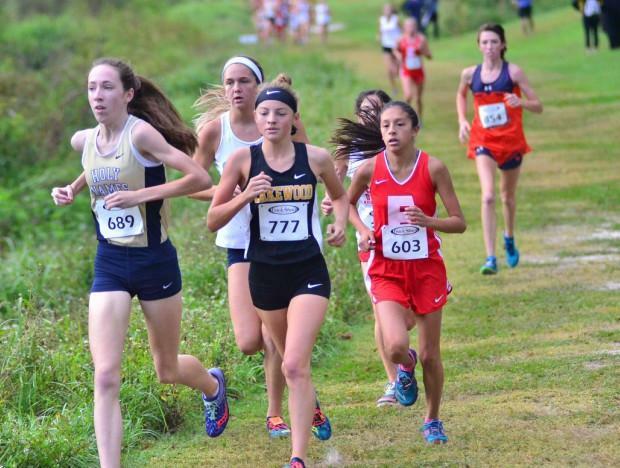 Already with some of the top times coming in, Stafford cruised unopposed to the 2A Region 3 title in 15:49.93 nearly taking down the course record of 15:46.80. Stafford won regionals in 2016 but at 16:01.17. Sub-15s are becoming the standard for Stafford and his 15:49 on Friday was tops among all three classifications at the meet. "I'm definitely pleased, especially with how I felt way stronger this year as opposed to last year, even over Jim Ryun this year," Stafford said. "My teammates really motivate me, I had to make sure and do my job and win to get that score. You can't take that one point for granted." 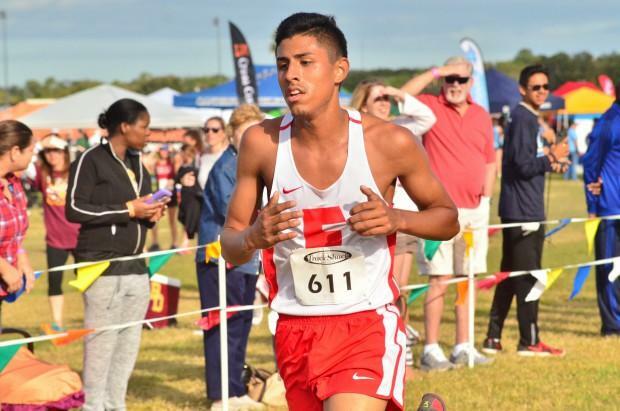 Behind Stafford...way behind Stafford was Frostproof's Antonio Gomez in second at 16:31.36. Stafford's teammate sophomore Anderson Denton took third at 16:43.46, having to fight off Avon Park's Dylan Branch in a finish line duel. 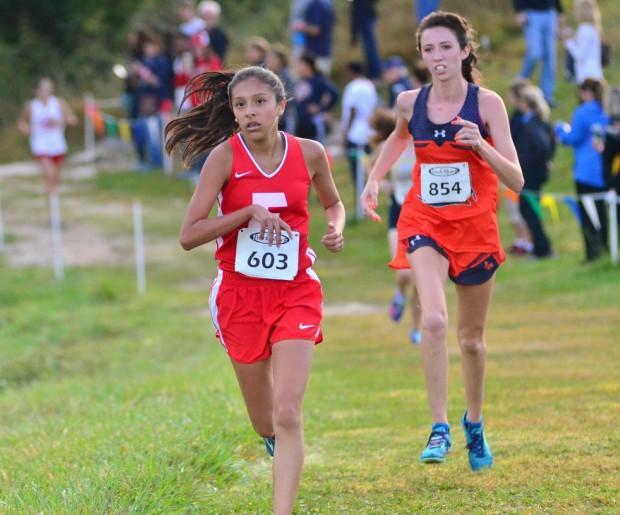 It was an immaculate day for Immokalee as they slid past Lake Wales for the team title 71-78.